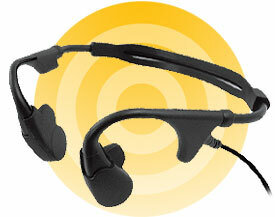 The SPM-1600 wrap-around headset features a mic element that rests against the user’s temple. The microphones picks up transmit audio directly from vibrations below the user’s skin, using advanced bone conduction technology. Since the dual ambient ear speakers do not block the user’s ears, the SPM-1600 allows the user to hear both incoming radio calls and what is going on around them. Pryme's lightweight in-helmet communications system mounts without tools to the helmet liner using a unique strap fastener system. The ear speaker provides ambient sound and allows the user to hear incoming radio communications without blocking their ability to hear what is going on around them. 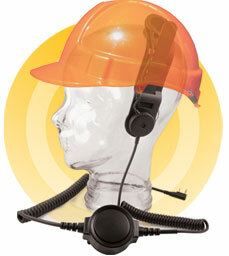 Voice transmissions are picked up by a noise-resistant microphone which sense sound vibrations through the user’s skull. 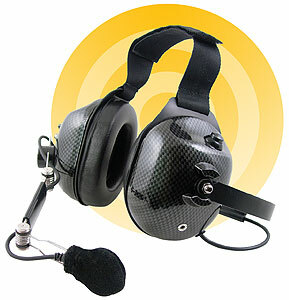 The HDS-EM is a professional grade dual-muff headset perfect for racing intercom, avionics, and industrial use. The rubber-covered, behind-the-head band and adjustable Velcro head strap are comfortable and keep the headset in place. Receive audio is heard over loud dual-muff earphones and the noise-canceling dynamic boom microphone ensures clear audio on transmit. The HDS-EM is lightweight, comfortable and easy to adjust to fit any user.